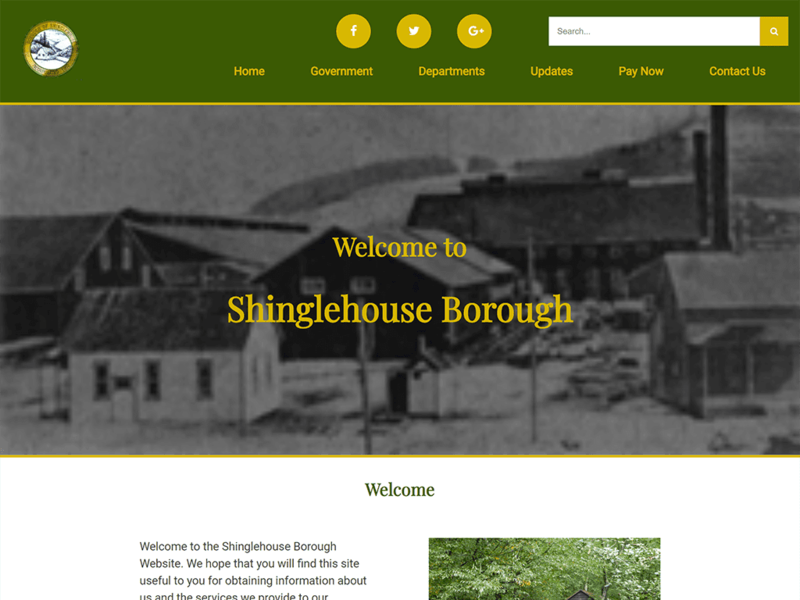 Shinglehouse Borough takes advantage of The Pennsylvania State Association of Boroughs Web Design Program. This year, they completed a complete site overhaul with their yearly budget. CourseVector is pleased to be able to provide web design, hosting, Email, support and other Internet services to municipalities through this highly discounted offering.